A veterinary practice offering in-clinic animal care and consultations from a distance. We are thrilled to introduce Hill’s to Home! What does this mean? For our clients in remote communities this means no more calling in your food orders and quicker delivery time. Free shipping with no minimum. 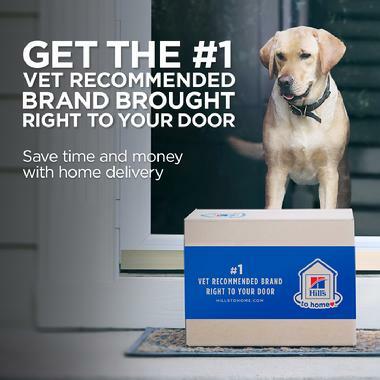 · Manage your pet food orders as needed or request auto-ship. · Save 10% on your first auto-ship order and receive a 5% discount on every future order. · 100% satisfaction guaranteed or your money back + easy returns. No more third party shipping with questionable expiration dates or hidden shipping costs. Let us sign you up today – Call Laura at the Petersburg clinic at 907 772-3191. Sign up will only take a few minutes of your time. You will receive a link via email to create a password for your HillsToHome.com account allowing you to order anytime at your convenience.